In my bedroom, tucked in a corner, is a small bookcase. It would not appear to be remarkable to the casual observer but it holds treasures. This is where the books I have loved best are kept. They are special to me in different ways and every book has a story to tell beside the one between its covers. There are mysteries signed by Louise Penny and Margaret Maron. There are illustrated children’s books by Marguerite de Angeli from my childhood. My copy of Randy Pausch’s “The Last Lecture” is there too next to a set of Grimm Fairy Tales. A book of poetry keeps company with Ellen Raskin’s ‘The Westing Game”. 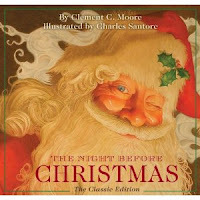 But the book I love the best at this time of the year is The Big Red Christmas Book. “The Fireside Book of Christmas Stories” edited by Edward Wagenknecht is a worn and watermarked red covered anthology and was published the year I was born, 1945. Would you be surprised to know that used copies are still available on Amazon for as little as 27 cents plus postage? I was. The stories I love and read every year are “The Other Wise Man” by Henry van Dyke, “A Visit from Saint Nicholas” by Clement C. Moore, “The Birds’ Christmas Carol” by Kate Douglas Wiggin, and “Christmas at Orchard House” by Louisa May Alcott. “The Other Wise Man” written in 1896 has been said to be the perfect story for reading aloud with the family during the holiday season. Throughout his life Artaban, the fourth Magi, searches for the Christ child always kept from his quest by his own compassion for his fellow man. This book expresses the true meaning of Christmas for me. There are many editions including one re-written in language more accessible for 4 – 8 year olds. Everyone knows and can probably recite lines from “A Visit from Saint Nicolas”, which you probably know as “The Night Before Christmas”, but did you know that the author wrote that poem for his children for a Christmas gift? He would be overwhelmed by the many beautifully illustrated editions there are to choose from today! 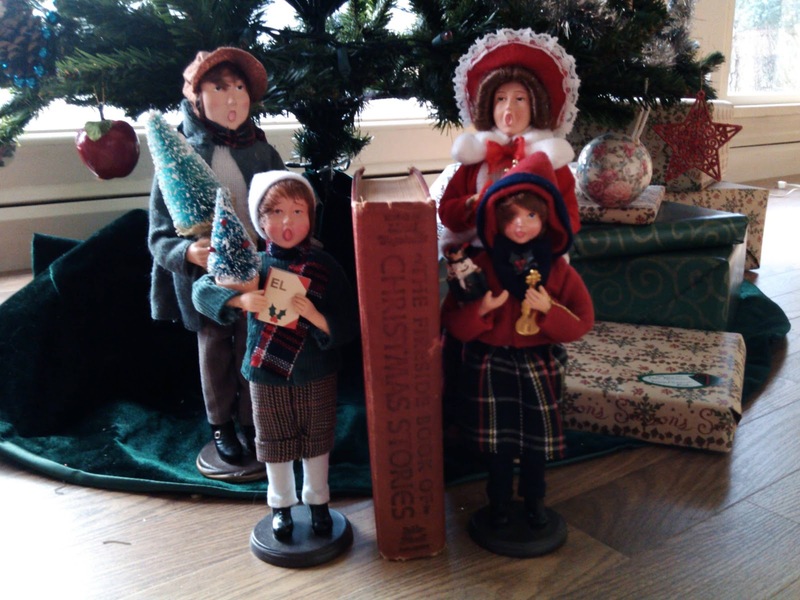 Another sentimental family story is “The Birds’ Christmas Carol” first published in 1887. It’s not about our feathered friends. It’s about Carol Bird, a much cherished child who is born on a Christmas morning. Although she is ill her whole short life, she brings joy to those around her. The beautiful lesson is the importance of helping the less fortunate. And finally, “Christmas at Orchard House”, the first chapter of the beloved classic “Little Women”, published in two volumes in 1868 and 1869. Haven’t many of us dreamed of being Jo March, who loves to read and grows up to be a writer? I was so enchanted as a child that I eventually wrote my own version of the Christmas portion as a play. 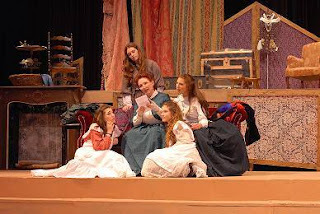 My teacher let me cast, rehearse, and put on the show for the entire school. I was in the production too. If you guessed I cast myself as Jo, you would be right! Several years ago I directed a community theater production of “Little Women: The Musical”. We sold out every night. It was astonishing! What we love in childhood often become our cherished memories as adults and can even determine life decisions we make. Take a minute to remember what YOU loved as a child. Share your memories and add new ones and Christmas will always be the most wonderful time of the year. These stories from The Big Red Christmas Book are favorites from my childhood in the 1950s, but there are wonderful new stories every generation, every year. If you respond to this post with YOUR favorite Christmas book or books, we could put together a lovely list to share in 2013. Ann Holt is a random reader, preferring literate mysteries, the odd novel, and bestsellers in no particular order. She has indulged in blogging about the books she has read since 2007 at Book Keeping (http://bkkp.blogspot.com/). 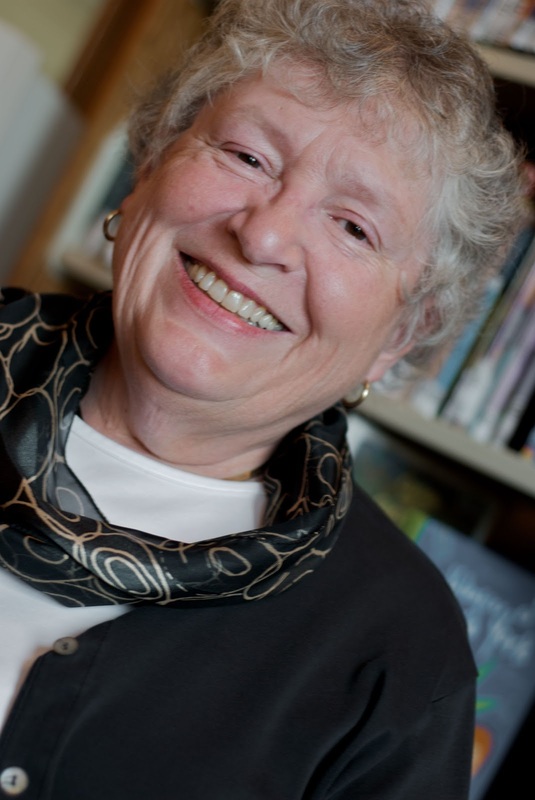 That was the year she retired as the Director of the Capital Library Cooperative, a Michigan state funded membership consortia of twenty-five public libraries. During her career she worked in every type of library from school to prison from academic to special. After studying acting at Carnegie Mellon University, Ann settled down and obtained degrees in Communications (University of Pittsburgh) and Information Science (University of Michigan). Ann describes herself as an actress, director, reader, reviewer, genealogist, and time traveler. For Christmas books, I think that my favorite is The Lion, the Witch, and the Wardrobe, where it was always winter and never Christmas until the witch's spell over Narnia had been broken. I love the mood evoked by this post. It captures nostalgia well-- the voice is comforting. One of my favorite Christmas stories is The Magic Carousel by Dorothy Levenson with illustrations by Ati Forberg. A detail that always transported me was 'the little girl in the red dress skating on one leg.' But the real excitement was the tour of NYC on the back of a carousel horse. How wonderful to take the opportunity to revel in the memories of Christmas. What a charming blog! Mary Beth just finished an entire day of telling Christmas stories for elementary students in East Grand Rapids. A couple of her favorites: "The Baker's Dozen" and "The Tree That Stayed Up Until Next Christmas." Christmas stories are designed to bring out the best in humanity. If only we would take those notions to heart all the year round. Thanks for sharing! Your blog brings back memories of a Christmas tradition in our house that started when the children were little and continues even though they are both grown now. Every year on Christmas Eve, Roger would read "The Night Before Christmas" to the kids to get them settled into bed. I love that you, as a young girl, wrote, directed, and starred in LITTLE WOMEN! I remember being enchanted with the movie a long time ago. I believe Elizabeth Taylor and Janet Leigh were in that version. I, too, wrote plays (skits) while in grade school. 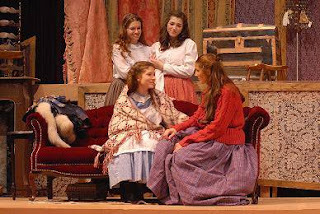 And in high school I played Emily Dickinson in EASTWARD IN EDEN. My mother gave me a charming book of Emily's poems which I still have. And, though not a Christmas book, a wonderful keepsake to have and hold!